The question of whether or not to full-length size is one I get asked a lot. I always recommend full-length sizing the case, regardless of the rifle’s intended use. The benefits of reliability and function far outweigh any supposed downfalls. Full-length sizing means different things to different people. Some define it as returning a fired case to its original dimensions when new. I define it as sizing a fired case by the minimum amount required to chamber the cartridge reliably. I also want long case life and as much precision as possible. This article will explain the concept of full-length sizing and how to adjust a die for the perfect shoulder “bump”. I’ll also cover the concept of headspace, how it’s measured, and how to work within its confines. First let’s look at the arguments given against full-length sizing and why I don’t agree with them. There are two reasons often given for not full-length sizing. The first one states that you can’t build precision ammo from a full-length sized case because it will no longer fit the chamber perfectly. The second is the risk of case head separation from overworking the brass. I suppose there may be instances in which both reasons have merit, but in my experience, they don’t. The process I use for handloading ammunition for off-the-shelf hunting rifles is the same one I use for my long-range precision rifles. I’ve had the pleasure of shooting rifles that consistently provide half-minute or better precision. Several were much better! Every one of those shots came from new brass or full-length sized cases. Five-shot groups fired from full-length sized brass in a 260 Remington. Case head separation is a more serious matter because it affects the safety of the shooter. The dreaded shiny ring just below the case’s head is often cited as a reason not to full-length size a case. I think new brass that’s on the short end of specifications and excessive chamber headspace are what cause that, not full-length sizing. At least not full-length sizing as I define it. If it’s dangerous to fire that case after setting the shoulder back .001”-.002”, I would opine that it’s dangerous to fire no matter what you do. I’ve never had a case head separate or rupture, even with belted magnums sporting a shiny ring. We’ll visit the subject of belted magnums later, and how they differ when it comes to headspace. 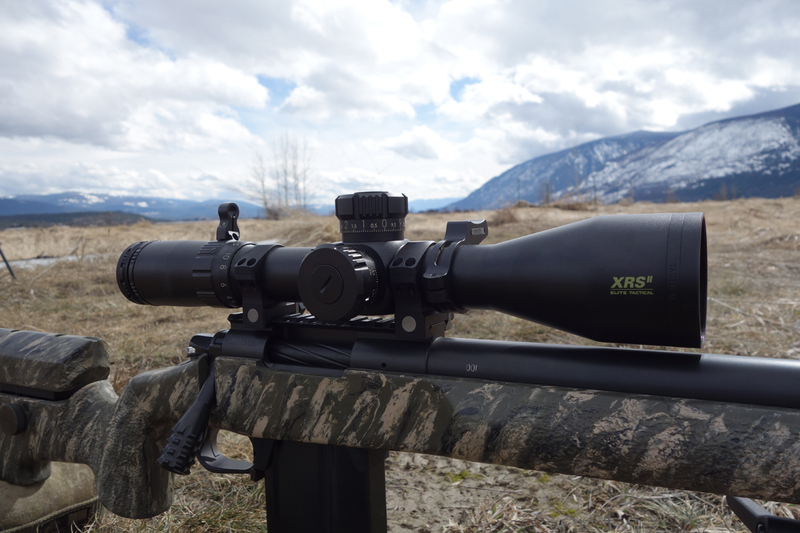 The reason for full-length sizing is reliable chambering of the round in all conditions. A bolt-action rifle has a lot of leverage to help chamber a round, but we want it to be effortless. Whether you’re in an awkward position, pumped full of adrenaline, or need to stay on target between shots, you don’t want to wrestle with your bolt. Moisture, dust, or carbon on our ammo or in the chamber can affect easy chambering. If you hunt, compete, or shoot from prone much, you’ll eventually encounter one of them. It’s impossible to keep everything as clean in the field as it was in your gun room. Shooting in this kind of environment can cause chambering problems. Full-length sizing helps minimize the risk. Sometimes it has nothing to do with the environment. If you neck size only, you’ll eventually face the possibility of the case body no longer chambering easily. I’ve heard of it happening after the first or second firing. I suppose some of that could be from improper neck sizing techniques, but a lot of it comes from the case’s elastic properties. Eventually it hardens from expansion and contraction cycles and must be setback to chamber reliably. Full-length sizing with minimal shoulder setback is cheap, easy insurance against chambering problems. To learn how to consistently and safely full-length size, we should look at the relationship between components, reamers, sizing dies, and an outfit called SAAMI. The Sporting Arms and Ammunition Manufacturers Institute (SAAMI) is responsible for setting standards for the firearm and ammunition industry. One of things they do is provide dimensions for commercially available cartridges. When a cartridge is listed with SAAMI, it will have a standard cartridge and chamber drawing for it. These drawings include minimum and maximum specifications for cartridge case and chamber dimensions. Firearm, reloading equipment, and ammunition component manufacturers use these drawings to produce their goods. Custom gun builders and machine shops that provide chamber reamers also use SAAMI specs. JGS reamer print for a 260 Remington chamber. 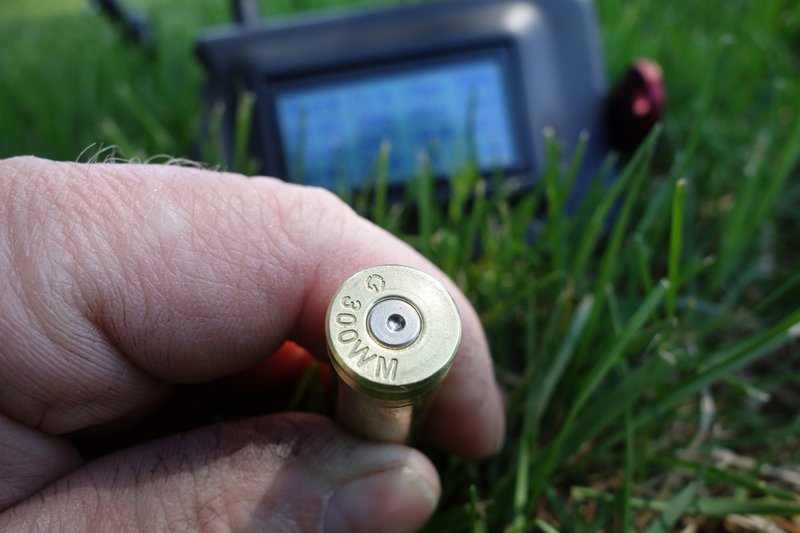 If you’re loading for a wildcat chambering or a slightly modified existing cartridge, the concept is the same. Cases can be formed from existing, or parent cases. If a commercial sizing die isn’t available, your gunsmith can use a custom sizing reamer to machine one. The tools, guns, and components should all work together if they meet the same specifications. They usually do, but it’s up to the hand loader to understand how to measure and safely size cases within those specs. The measurement we’re mostly concerned with when full-length sizing is headspace. Headspace is the distance between the bolt face and a specified point that prevents the case from moving forward in the chamber. Where that spot is will depend on the style of cartridge we’re using. We’ll only deal with the two commonly used in precision rifles. The first is the rimless bottleneck cartridge, such as the 260 Remington, 6.5 Creedmoor, and 308 Winchester. Headspace on these cases is measured from the bolt face to a datum line on the shoulder. The second is the belted magnum cartridge, such as the 300 Winchester Magnum. Headspace on a belted magnum is measured from the bolt face to the forward edge of the belt. Once the chamber is machined, we’ll stop worrying about the belt. Setback measurements and adjustments will be done at the shoulder after the first firing. More on that later. Both styles of chambers are set up with go/no-go gauges that fit the chamber. These gauges are manufactured to SAAMI specs. With the barrel and receiver assembled, the bolt should close on the go-gauge. If it doesn’t, the headspace is too short, and may not chamber a round that’s on the long end of spec. If the bolt closes on the no-go gauge, headspace is excessive and may cause the case to stretch too much when fired. It may not even fire if the firing pin can’t reach the primer. We’re not talking about big numbers here; the difference between the gauges is .004”. That’s the thickness of a post-it note. The problem lies in the relationship between chamber headspace, dimensions of the new case, and sizing die tolerances. If a die is long and the chamber is short, we might not be able to bump the shoulder of a fired case. If the chamber is long and the new case is short, case head separation is a real possibility. It’s best to just have the correct headspace! Before we start setting up our sizing die, we need to measure the case from the shoulder to the head. We can also use that measurement to see how much the case stretched in the initial firing. I use a Sinclair Comparator/Bump Gage for this job. It clamps to a caliper jaw and uses inserts that closely match the shoulder angle of a variety of cases. The inserts make contact just below the case body and shoulder junction. That’s not the same place as the datum line used by the go-gauge—you can’t substitute one for the other. The bump gauge is only used for measuring case stretch and setting up dies. Checking shoulder bump after full length sizing. I measure a sample of new cases from every lot I use and note them in my load book. I also measure a few after each firing. This measurement is used to set up the sizing die. It can also be used to compare the headspace of rifles firing the same cartridge. For a complete review and ordering info on the bump gages, click HERE. As mentioned before, the belted magnum case will be treated just like a rimless case after the first firing. All measurements for headspace and die adjustment will be taken from the shoulder. Another tool you can use is the Wilson Cartridge Case Gauge. This tool is cut with a special reamer that allows an accurate measurement from the datum line on the shoulder to the case’s head. It uses a milled slot to indicate the headspace of your chamber and proper setback of the sized case. It can also be used to check for trim length. I’ve used the adjustable belted magnum version in the past and liked its accuracy and simplicity. Check them out HERE. Standard sizing dies are reamed to SAAMI specifications. Shellholders are machined to match. The specified thickness of a standard shellholder from the case head to the top edge is .125”. Knowing how headspace works should help understand how to adjust a sizing die. Try thinking of the press and full-length die as they relate to a rifle–the die is the rifle’s chamber and the shellholder is the bolt’s face. When the press ram is extended, the distance between the shellholder and the die’s shoulder is the headspace. When we adjust the die, we’re decreasing that distance to increase clearance between the sized case and the rifle’s chamber. If the chamber’s headspace is set properly, shoulder bump should occur near where the shellholder contacts the die with the ram extended. It’s been my experience with Redding dies that shoulder bump usually occurs slightly off the shellholder. The last time I set up a Type S full-length bushing die as per the instructions in the box, I ended up with .0015” shoulder setback at the initial adjustment. Those instructions say to screw the die down until it contacts the shellholder, then back it off ¼ turn. That gave me near-perfect shoulder setback. I recommend the same procedure for any full-length sizing die, except I would start with the die further from the shellholder. You can always add to the bump, but you can’t take it away. Thread the die into the press until it contacts the shellholder with the press ram up. Back the die off ½ turn, then spin the locknut down until it barely contacts the press. Run a clean, lubricated case into the die until it stops. Measure the case and note how much shoulder setback occurred. If it didn’t bump the shoulder, start adjusting the die clockwise in small increments. It doesn’t take much once the die is contacting the shoulder. 1/32 to 1/16 turns are enough before checking again. I aim for .001” of shoulder setback for bolt actions, but have needed up to .003” for easy bolt closure with some rifles. Gas guns lack the mechanical advantage of a bolt action, so I set those dies up for .003” setback. These are target numbers and not set in stone. Reliable function with minimal setback is all we’re after. Before locking the die down, test a sized case in the rifle’s chamber. The bolt needs to close easily. Once I’ve adjusted the sizing die for proper setback, I square it to the shellholder to reduce or eliminate runout in the sized case. I’ve done my own testing on the subject and have my opinions, but squaring the die is easy enough. Once the die is adjusted, I stick a flat piece of tool steel between the die and shellholder. A recoil lug works well, too. Tighten the die’s locknut while applying tension to the ram. You don’t need a tool to tighten the nut, but you’ll likely need one to remove it if you do it this way. I use Hornady lock rings on my dies and the wrench that Sinclair makes to loosen them. Squaring the die to the shellholder. To check case runout, I use a Sinclair Concentricity Gauge and dial indicator with .001” resolution. I haven’t found a Redding body die or full-length sizing die that I couldn’t adjust to make the indicator’s needle stay still. Isn’t the case loose in the chamber now? All hopes of long range precision and accuracy gone? Uh, no. The loosest the case will ever be is when it’s new. During the first firing, the case shoulder edges will sharpen and the brass will stretch to fit the chamber. I start load development with new brass, and quite often can’t tell the difference between new and fired brass. Pressure and velocity may change, but accuracy is usually quite good. The only exception I can think of is with belted mag cases. They stretch quite a bit to fill the chamber and I’ve had mixed results on the first firing. The second five-shot group fired from a 338 Edge +P using new brass. If the components, tooling, and headspace are within spec, full-length sizing won’t move the brass very much. Looking at some of my notes, the body diameter at the web and shoulder junction is reduced .001-.0015” in my Redding dies. Those measurements are from four different rifles, three different cartridges, and three brands of brass. I was able to set the shoulder back from .001” to .003” on all of them. That’s consistent performance! That tiny amount of body sizing, coupled with .001” to .003” of shoulder setback, is plenty to ensure easy chambering. I once had a wise machinist tell me to let the results speak for themselves. He said that in the context of how to chamber a rifle. It also applies to handloading ammo for that rifle. Full-length sizing has given me consistent reliability, long case life, and precision. Those are the only results that matter to me. Very good read Sam! Sort of off point, but your 260 reamer drawing made me think of it. When you get a reamer built, do you get a rough reamer and a finishing reamer? Also, do you get carbide? Thanks, Bill! I asked about that before I ordered it. The builders I talked to said not to bother with a roughing reamer. They were 50/50 on carbide vs. HSS. I ordered a HSS finish reamer. That print is for seating a Berger 140 Hybrid to the lands from an A.I. mag. Thanks Sam, Brad and I are gathering parts for a pair of 26 nosler builds and we are thinking of buying our own reamer (since it may be somewhat of a barrel burner!) Thanks again for the info and sorry to get off the topic of your review. On topic, one thing I found interesting is squaring the die to the shell plate. This is something I have never done, and I can certainly see the potential value this could add. Your reviews are extremely thorough, and I really appreciate the time you put into them. Sam, just wanted to say thanks for taking the time to educate and enlighten me on reloading. I look forward to what you have to say and teach. 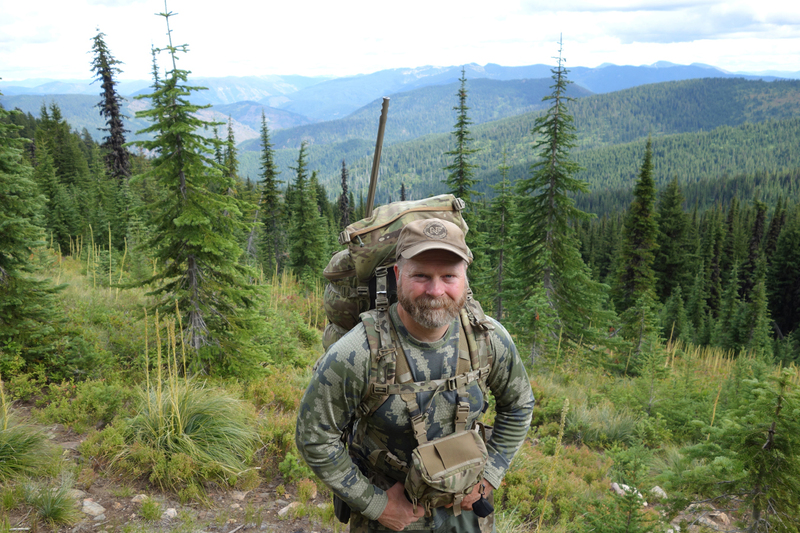 I recently had a rifle built by Lane Precision down here in Pocatello (way south of your location) and it has been a blast to put all your educational inputs to work. Thank-You for all your hard work. Its truly appreciated!!! Keep it coming!!! You’re welcome! Dallas builds a nice rifle. I’m sure you’ll enjoy it! I will. I tried the powder funnel you suggested and loved it, so much I bought one for Dallas. He was impressed and that can be hard to do. I ordered a RCBS Charge Master and people have mixed reviews on them. What’s your experience been? Suggestions on getting the best performance from it? I love my Chargemaster. I leave it turned on and keep moving air away from it while I’m loading. If you stick a short piece of a McDonald’s straw in the powder tube, you’ll get less overcharges. Yes. I just leave it turned on, ready to go. Another great read. Enjoy your breakdown of why you do things the way you do. As with all your articles, thanks for taking the time. Your website as really helped refuel my passion for reloading, shooting and hunting. Keep up the great work! I have a Redding FL Type S die in 7mm Rem Mag. Removed the whole spindle so as to just size body and set bump. Set up as Redding says (+ squaring as you say). Sinclair bump gauge. Problem is the bump grows. Can’t get it to set back. Bump gauged at 2.057, once fired (1st firing) cases measure out 2.058+ after sizing. I presume that the die is too long to set back bump, or chamber is too short. 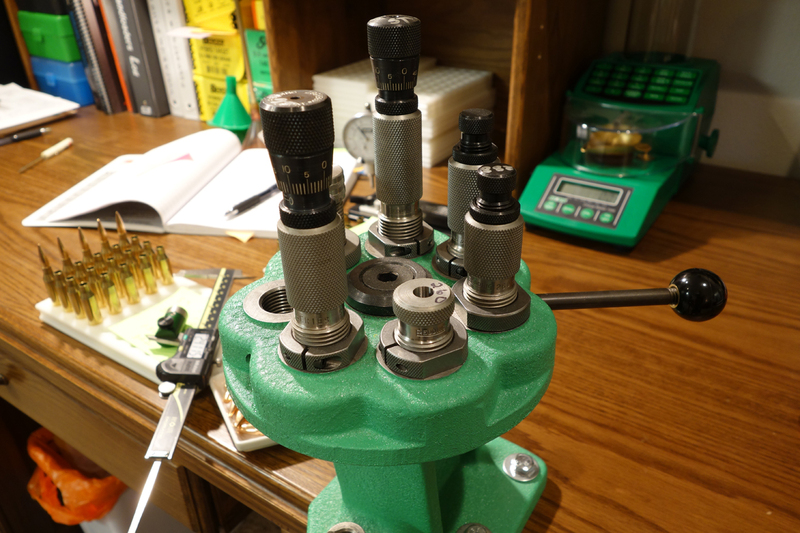 If the die is completely bottomed out on the shellholder with the case in the die, the fired case is too short (short chamber), or the die is too long. The shoulder length will grow a little during sizing because of the brass moving, but will get pushed back once the shoulder of the case contacts the die’s shoulder. Be sure that everything’s bottoming out with the case in place before worrying about it. It doesn’t take much movement to push a case a few thousandths, and it could happen somewhere beyond where the die and shellholder contact each other without the case in place. Found my own problem, and it’s like you said. The fired cases are .513 in the same location, resulting in .004 of interference when the case goes into the die. A new, un-fired case (WW) measures there to .507 , resulting in .002 clearance. In addition, marks from FL sizing show that the case is not making it all of the way into the die, so I never get the shoulder to bump back. A new case does make it all of the way in. The “beltway” cut in the die is .5355, and my fired rounds are .528-.529, so no issue getting hung up on the belt edge. The problem appears to be the “bulge”, induced by the act of full-length sizing. Sounds like I am a candidate IT (Larry Willis) collet die. Let me add my thanks to all the others here, for the interesting and useful info on your channel. I have always been persuaded by the neck-sizing only crowd to avoid FLS except for new brass. Back before the sad demise of Precision Shooting, I was also intrigued by stories from the Houston warehouse experiments (search it for a fascinating read), where they didn’t size their cases at all, and fantasised that I might also be able to hand-seat bullets by feel alone. But, as so often happens, real life got in the way, and neck-sizing-only has never worked for me. After the 2nd firing, my cases release easily from my Wilson straight line dies, but releasing them gets harder with each subsequent firing, and eventually I have to lever them out of the die with a stubby screwdriver, often mangling the rims. Typically, after the 4th firing, the cases are difficult to remove at all, and it seems the only way to continue using them seems to be to full length size, which I have been reluctant to do, both to avoid work hardening of the brass and because I lose the presumed benefits of having the tightest fit of case to chamber. At one point I even contemplated lapping the dies, thinking that they must be smaller than my chamber. But I’m not sure even that would help, and may only delay the inevitable, as the cases will continue to grow. Have you or your other readers had a similar experience? Will lapping the dies help at all, or must I just resign myself to FLS?